Many people think pandoro is just panettone with out candied fruit and raisins. To correct that misconception, here’s a little history about the two sweets eaten year round in the US. “Panetun” (in dialect) comes from Lombardy, Milan to be exact. According to one legend, at the end of 400 AD Ughetto, son of the condottiere Giacometto degli Atellani, fell in love with a beautiful young woman named Adalgisa. To be near his beloved, he became a baker, like her father Toni, and created a rich bread made with butter, eggs, sugar, citron and candied oranges. The sweet fruit of his love was an unprecedented hit, and people from every neighborhood came to taste “Pan del Ton.” According to another legend, on Christmas Eve, at the court of Duke Ludovico, a cook was preparing a special sweet. Unfortunately, the cupola-shaped raisin bread got burned in the oven, and the cook became apoplectic. As he cursed and howled, a servant named Toni spoke up, advising the cook to serve the sweet all the same and say the crust was special. When guests saw the unusual bread, they applauded raucously. And when they took their first bite, a chorus of praise erupted, and “Pan del Toni” was born. The panettone we know today dates back to the early twentieth century, when Angelo Motta gave it its tall fluted shape, literally heightening its importance. Another story links pandoro to the famous French brioche, a dessert served for centuries at the Doge’s Palace. Whatever the actual truth, October 14, 1884 is the official date for pandoro. On that day, Domenico Melegatti patented a sweet fluffy bread shaped like a star by impressionist painter Angelo Dall’Oca Bianca. 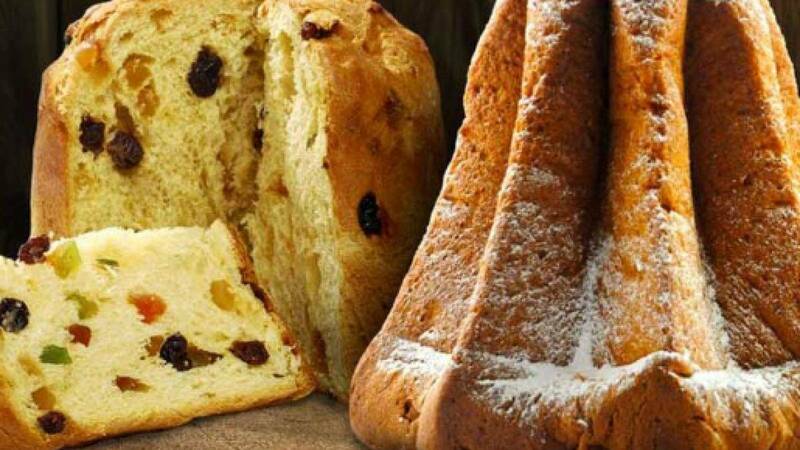 The name “pandoro” is also dated July 2005 and applies to a sweet baked good made with a soft acidic dough and shaped like a frustum with an eight-pointed star section. 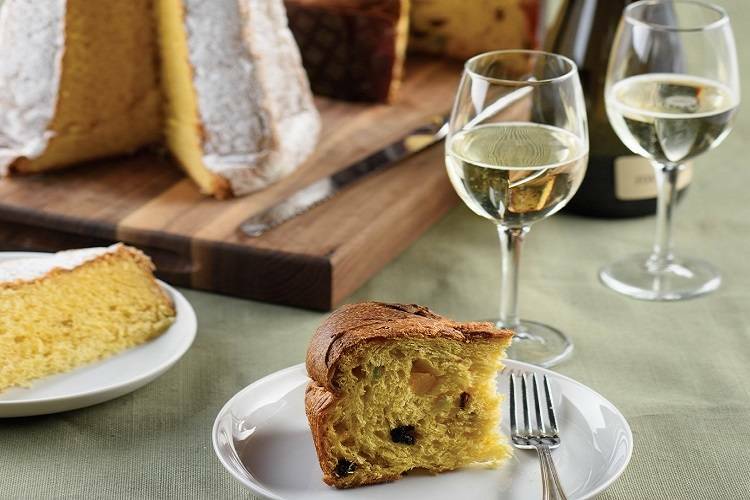 Today, there are various offshoots of the classic panettone and pandoro, but if you’re looking for one made in Italy, check the label to see where the product comes from. Many sold in the US are made in Brazil.